Peace and abundant greenery, relaxation and plenty to do, comfort and friendliness. Archipel Volcans combines quality and simplicity. 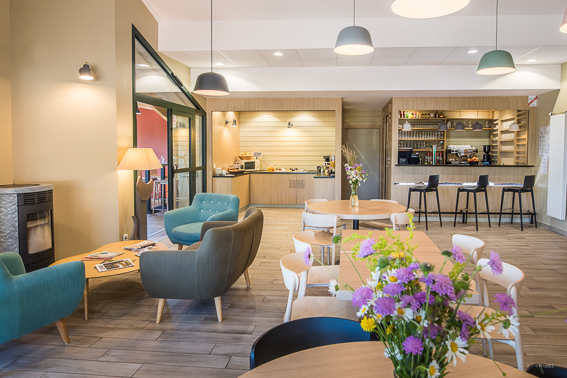 Our comfortable rooms, our unique location at the foot of the Puy de Dôme and our helpful staff make Archipel Volcans the ideal base for exploring the Chaîne des Puys. Everyone is welcome whether with the family, friends or a group ! 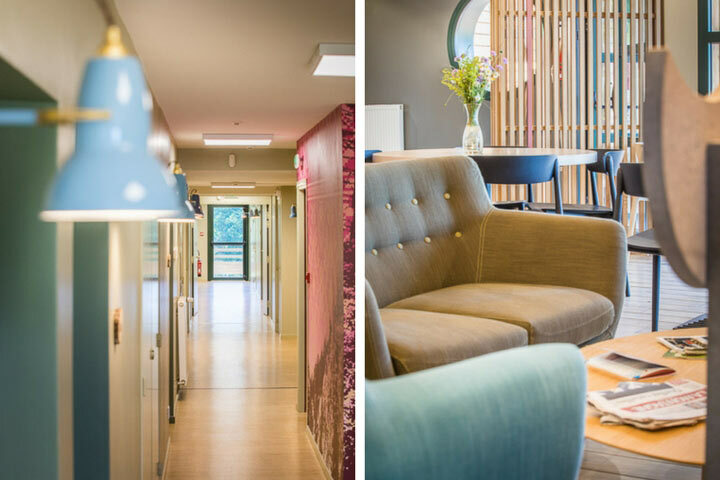 Our assets : the comfort is complemented by tasteful decorations, green spaces for the pleasure of children and parents alike, a terrace for relaxing, tasty meals, etc. On the recreation side, its ideal location in the heart of the Chaîne des Puys gives you the freedom you need to create the holiday you want. Our region has everything you need to create a custom holiday for outdoor activity fans (hiking, mountain biking, paragliding, etc. ), culture aficionados (Clermont-Ferrand, Aventure Michelin, etc.) and explorers of unbeatable sites like Vulcania and the Volcan de Lemptégy. Open year round, by reservation.